Dual Core CPU: 1.2 GHz dual-core ARM-based. Powerful CPU promotes simultaneous high‑speed data processing allowing multiple users to simultaneously game online, stream movies, and transfer files without lagging. 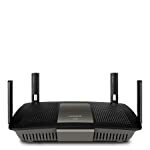 Users can prioritize devices or websites, gain parental control over content, monitor network activity, turn Wi-Fi access on or off and create select password‑protected guest networks. 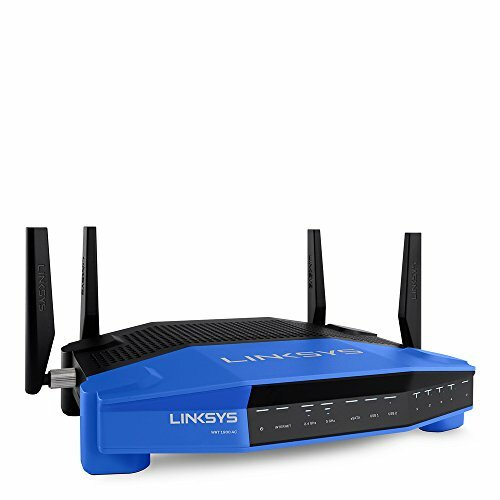 Package includes: Linksys WRT1900AC Router, 4 external, dual-band detachable antennas, Quick Start Guide, CD-ROM with Documentation, Ethernet Cable, Power Adapter and Power Cord. 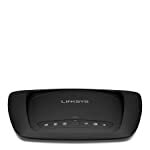 Linksys WRT1900AC is available for 21,500 Rupees on Amazon India. This price is vaild for all major cities of India including Delhi, Mumbai, Kolkata and Chennai. 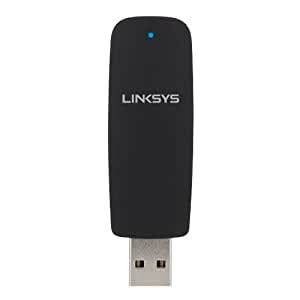 The latest price of Linksys WRT1900AC was retrieved on 24th April 2019.